The staycation is becoming more and more popular and motorhome and campervan owners have got the right idea. Holidaying in a camper means you can take your little home on wheels wherever you want to plus you’re not squished into a small tent and, if it rains (which, let’s face it, wouldn’t be unusual for the UK! ), it doesn’t matter. 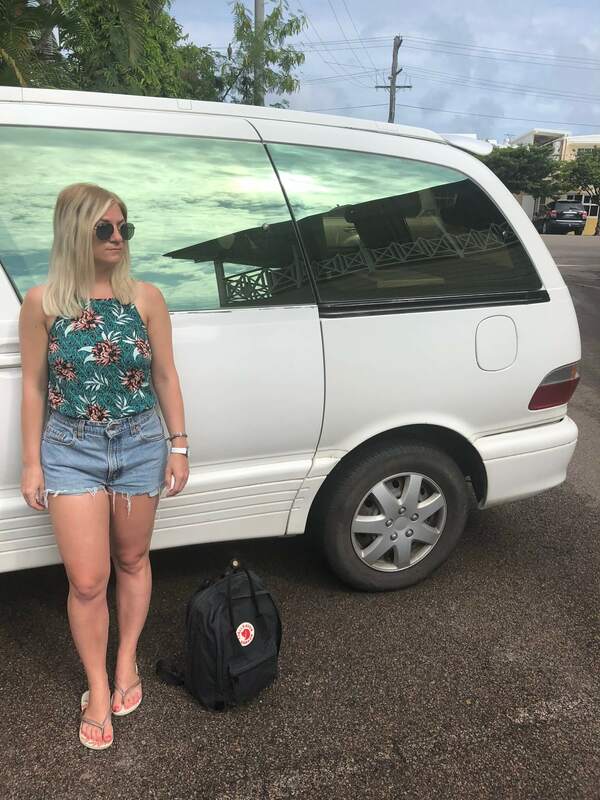 We fell in love with the idea of campervan holidays while we were in Australia and we’re actually planning on buying a van to convert into a camper. And you aren’t just limited to the UK. You can enjoy the open road and take your camper all over the world – I even saw a couple on Good Morning Britain who had been to Alaska! If you want to take more stuff with you, it’s easier to do so than ever before with the latest VW Trailer Assist. Manoeuvring with a trailer no longer has to be a test of your patience. Instead, allow the Trailer Assist system to do the work for you. As long as you set the system up by selecting reverse gear, press the parking aid button and use the mirror adjustment switch to set the direction in which the trailer should be steered – your car will now steer automatically while you just need to take care of changing gear, accelerating and braking. It’s as simple as that. This is a five-star rated, adults-only campsite in the heart of Cambridgeshire with 59 touring pitches, 14 tent pitches and six luxury self-catering lodges complete with hot tubs. It’s guaranteed peace and quiet here thanks to its adult only policy. There are two on-site fishing lakes and dogs are most definitely welcome with lots of Fenland countryside to explore. Extra large pitches are available on the site for bigger RVs and motorhomes and Fields End makes for a great base from which to explore Cambridgeshire. Hendra is perfect for all sorts of travellers as there’s something fun for everyone to do here. Situated in Newquay in Cornwall, the site is surrounded by countryside and is just minutes from the beach. There are 500 touring pitches, 500 tent pitches and 320 holiday homes for hire on this large site and the toilet block facilities have been awared the 5* Loo of the Year award! The park also has soft play areas, a pool complex, entertainment on site and several bards and restaurants. Just make sure you don’t spend all your time on the site as Cornwall is a county just begging to be explored. If you’re looking for campsites in the USA, you don’t get much better than this. Ocean Lakes is winner of RV Park of the Year and is ranked in the top 1% of campsites in America. It’s situated on the sea front in South Carolina and you can camp here all year round. There are 630 pitches here and you can book up to 18 months in advance. There are plenty of activities on offer too – from basketball and volleyball to horse riding and swimming in the outdoor pools. There’s plenty to do off-site too. The local area is home to award-winning shows, over 100 golf courses and Brookgreen Gardens – one of the top 10 public gardens in America. Situated in Murcia, this campsite is typically Spanish and makes the most of the beautiful views, looking out onto blue seas and clifftops. There are over 250 touring pitches, 60 permanent pitches and 80 accommodation units on the site. There are indoor and outdoor pools, wi-fi is available and there’s plenty to eat with snack bars, a pizzeria and a restaurant on-site. So put away that camping stove! The beach is just minutes away which would be perfect for me as I love getting up early and walking on the beach. There are also watersports available including windsurfing and waterskiing. This is just a snippet of the amazing campsites that are available for campervan holidays. When you’re planning your next trip, make a list of your requirements to make sure you get the best site to suit your needs and don’t be afraid of taking your camper overseas! Where’s your favourite campsite? Let me know in the comments!